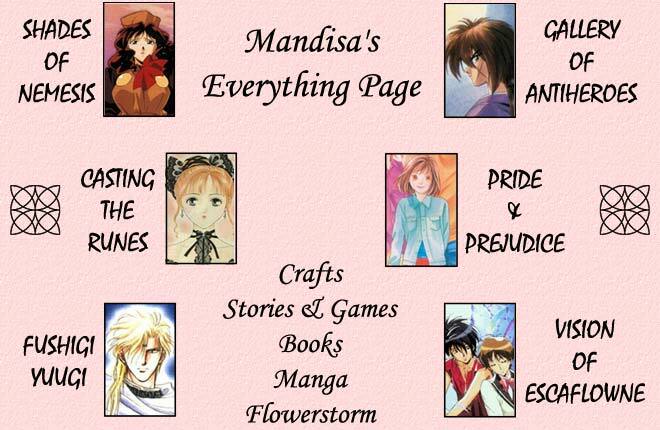 Welcome to Mandisa's Everything Page! There are plenty of areas here to pique your interest, just check out any of the sections. If you get lost in your web crawling, just look for the links at the bottom, which will bring you back here, ultimately. Of course, if you prefer the direct approach, there's a text-only Site Index that contains detailed links to everything.